Buy Prada SPR 22Rsunglasses online today at a friendly price. Originally made in 2017, Prada SPR 22R sunglasses are lightweight plastic frames. They are comfortable to wear and are designed in signature Prada sunglasses frame style. Each pair of these authentic Prada sunglasses ships worldwide with authenticity certificate, Prada case and a cleaning cloth. After the order is placed, sunglasses Prada SPR 22R will be packed and shipped to you via fastest shipping method to your location. Please note that when buying eyeglasses online that were manufactured in more than one size, you need to be attentive, especially if you are buying eyeglasses frames for replacement. Prescription lenses from old frames will only fit when the size matches. Size is written on glasses temple or sometimes on inside the nose bridge. Size does not matter if you are buying Prada SPR 22R with prescription lenses. Prada is a long standing luxury Italian fashion brand with a great history of pioneering new trends and accessory ideas. Prada glasses and sunglasses have become men's favorite because Prada always offers wide choice of glasses for men, equally for women. Man Prada glasses look classic and upscale, elegant and high end. 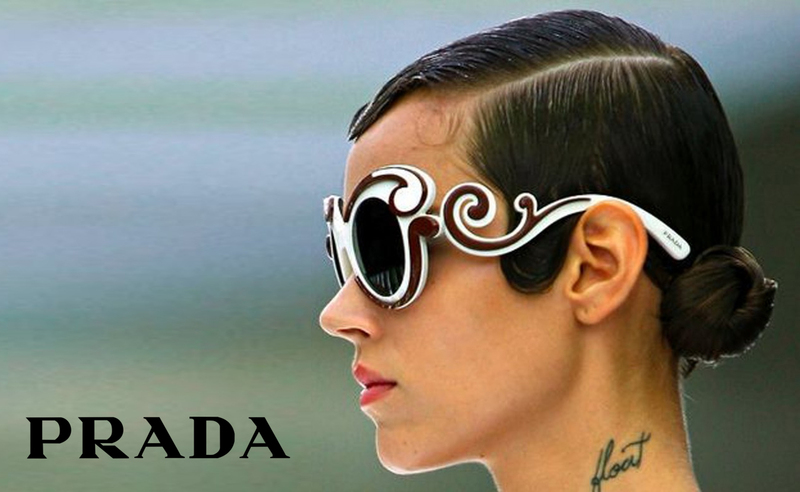 Woman Prada glasses and sunglasses have couture designs, a bit futuristic and often very fancy. Prada sunglasses feature over 300 styles, in 3-4 colors each giving an ultimate choice of shapes and modern designs to every men and woman. Buy authentic Prada sunglasses from EyeInform website. Buy Prada frames with lenses and Prada glasses without lenses for fast shipping and easy returns.